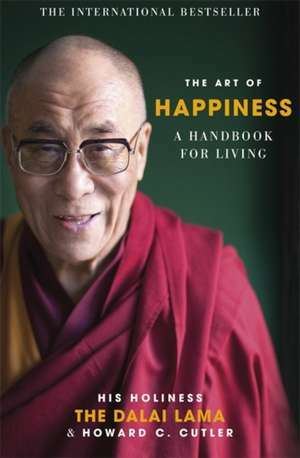 This will be the first book by the Dalai Lama written to appeal to a general audience and focusing on the practical application of his spiritual values.The Dalai Lama's commentary is amplified and augmented from a contemporary western perspective by psychiatrist Howard Cutler to make this a genuinely accessible self-help guide. Addressing every kind of daily problem, the subjects covered include: the sources of happiness; desire and greed; marriage and romance; resolving conflict; facing our suffering; overcoming fear and anxiety; anger and hatred; honesty and self-confidence; finding balance. The Dalai Lama is one of the world's great spiritual leaders. The recipient of the Nobel Peace Prize and many other international awards, he receives constant and extensive media coverage. Howard C. Cutler is a psychiatrist who has had an interest in Buddhism for over 25 years. He has strong ties with the Tibetan community and was chosen by the Dalai Lama to present and interpret his ideas in this book for a wider non-Buddhist audience.